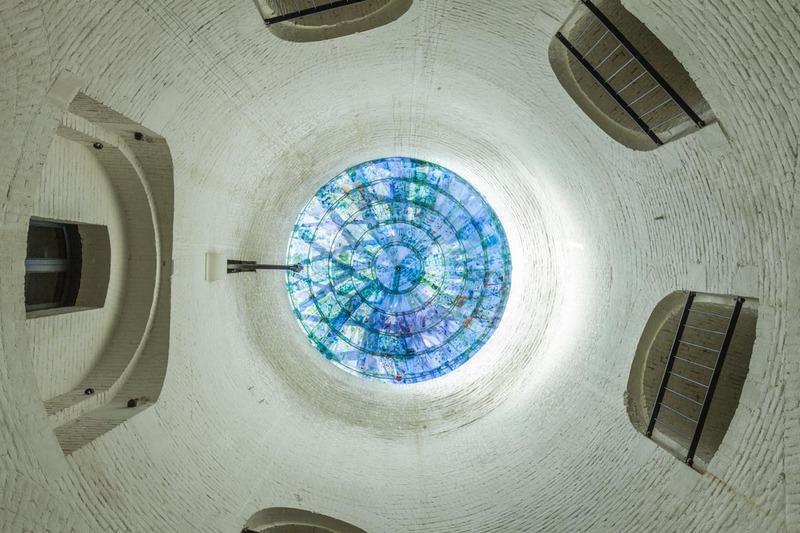 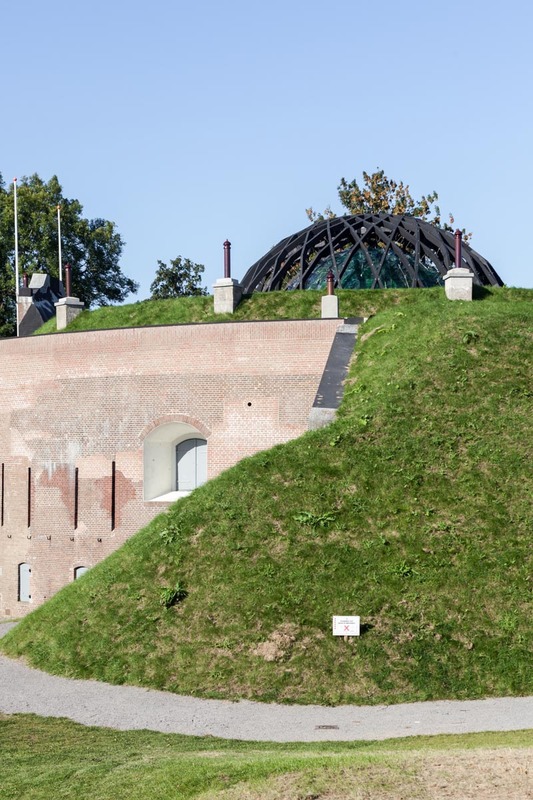 The completion of the glass and wood dome on Fort Asperen is the capstone of a ten-year long restoration process. 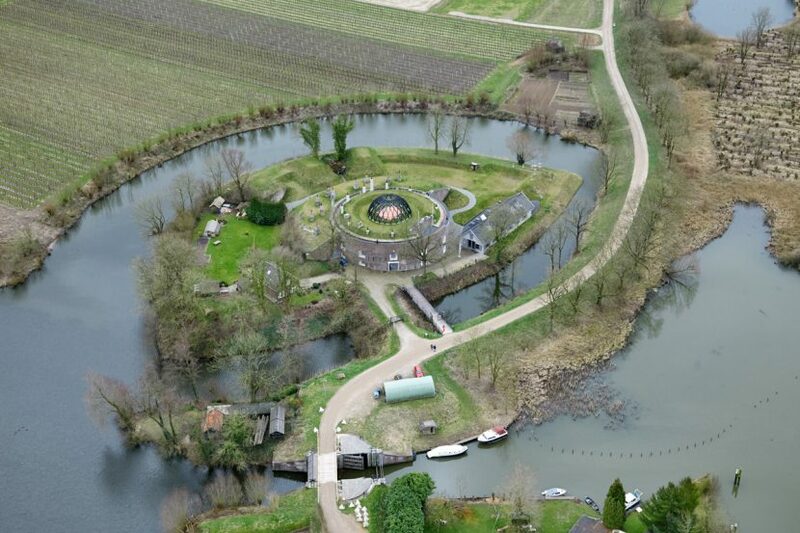 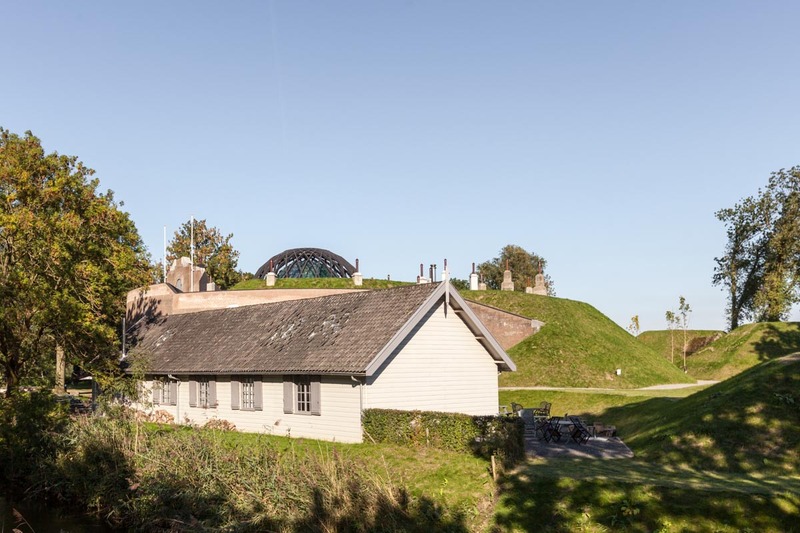 The island on which the fort sits – dating from 1840 – is one of approximately 60 that make up the New Hollandic Waterline, an ingenious 85 kilometer long military system that protected Holland from invading forces from the east. 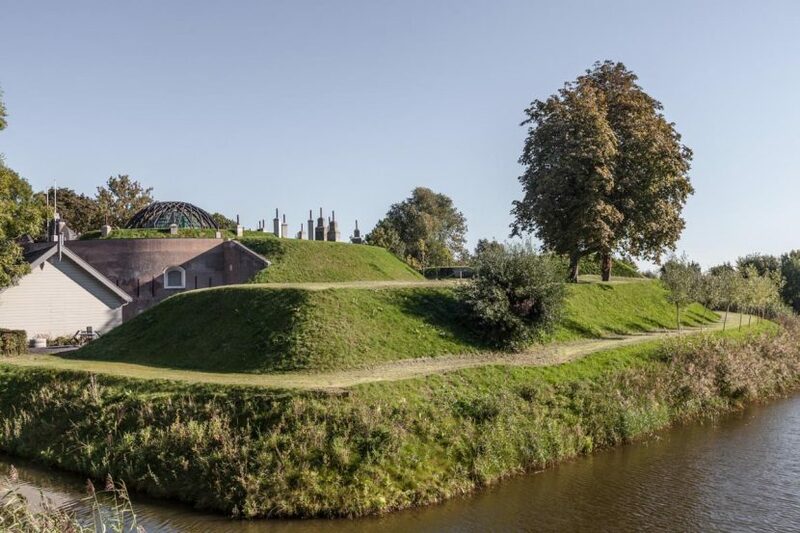 By the mid 1980s, the Fort began to play host to a number of prestigious art exhibitions. It was decided that a roof should added to shelter the air shaft from rain, but one that still allowed the bats access to their place of hibernation. 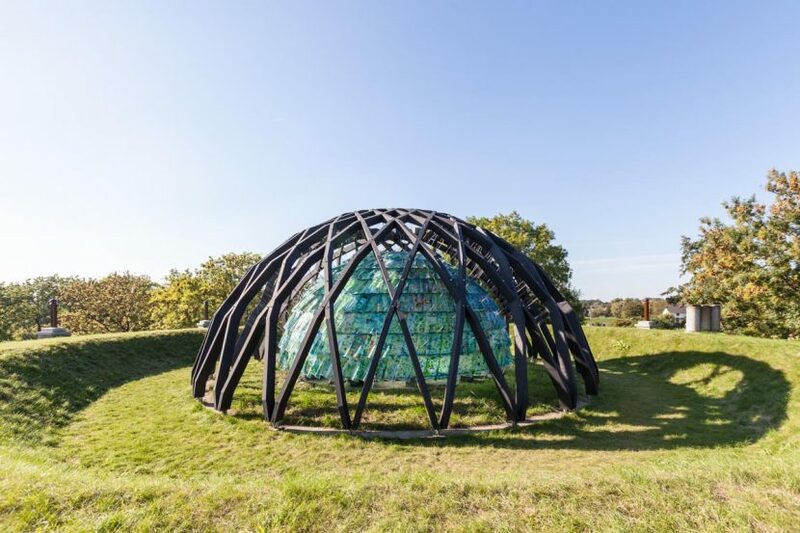 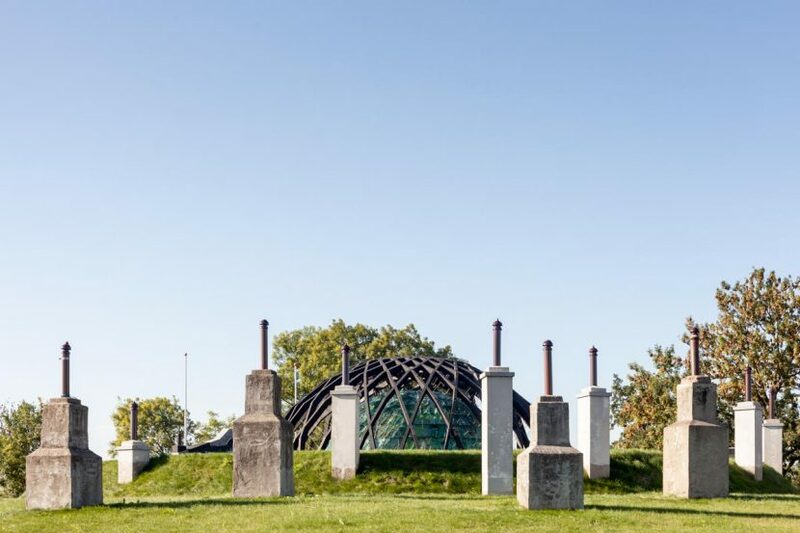 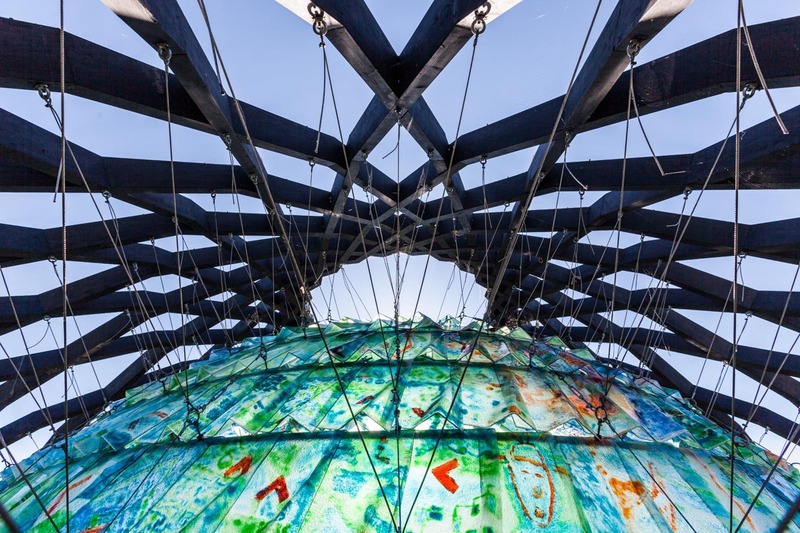 This seemingly simple brief was the one seized by bureau SLA as an opportunity to create not only a structural element, but to enlist the community to assist in its creation, with local residents working together to create a spectacular glass dome. 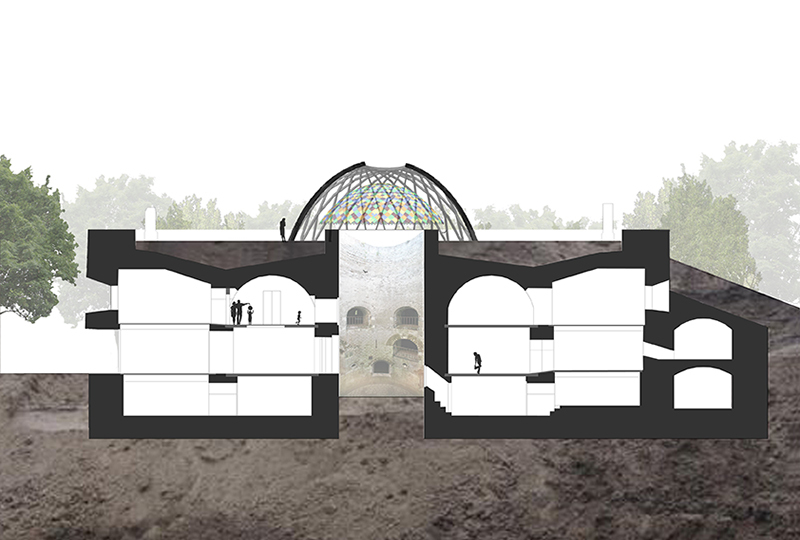 In this way, the community would reclaim this once-secret island fortress, in the process creating a city filled with artists. 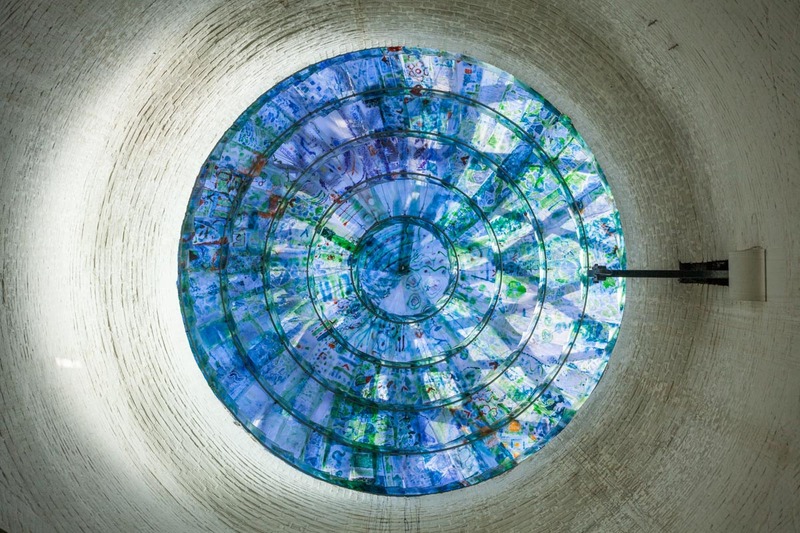 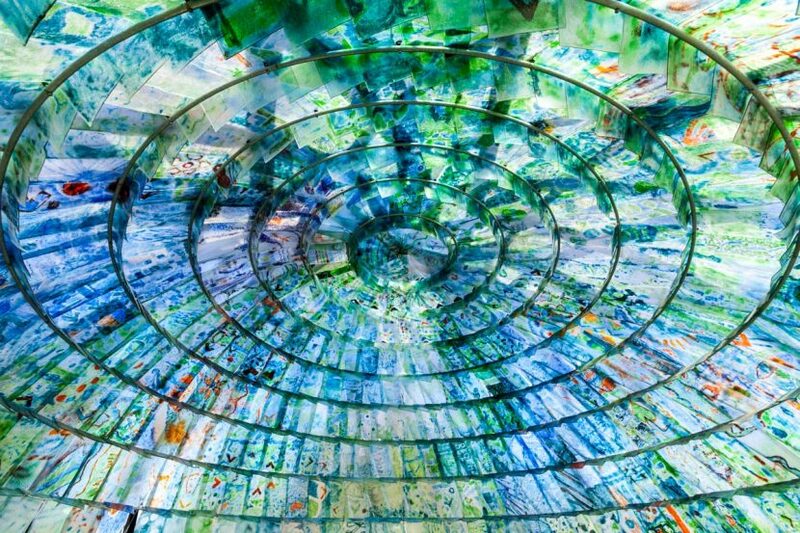 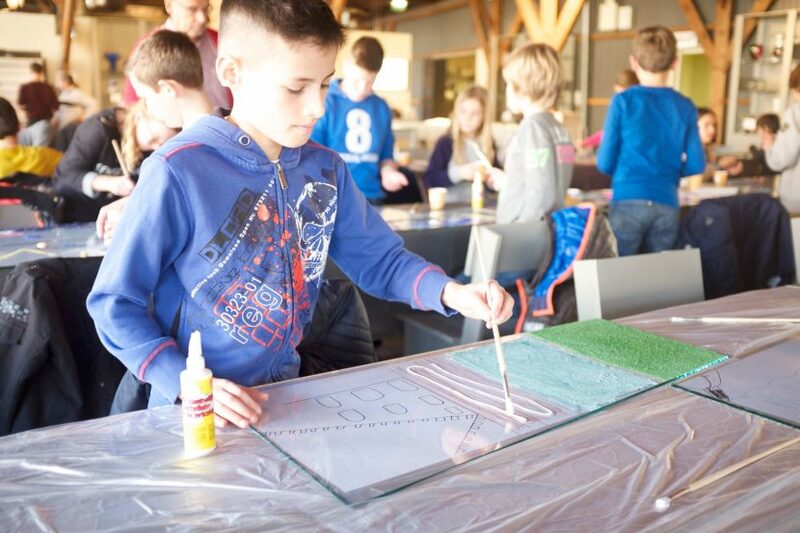 The 600 glass tiles were designed and fabricated by 600 primary school children in and around Leerdam, the famous glass city of the Netherlands. Bureau SLA teamed up with the National Glass Museum, who developed for this project a special educational program that – ambitiously – combined lessons in abstract art with instruction in flat glass techniques.